Help us improve Enota Park by removing evergreen invasive plant species within the park, plus help us stabilize the hillside with a large quantity of grass seed. -It is important to arrive on time so each volunteer sees our demonstration (it takes 10 minutes). We also want all volunteers to stay for the entire project. -Wear pants and a long-sleeved shirt, closed-toed shoes or boots (waterproof is best), and clothes that can get dirty. -Bring drinking water in a reusable container. It is important to stay hydrated. No one-time-use plastic bottles, please. -Forest Restoration is hard work, so eat a good breakfast and come prepared to work hard. -Projects happen rain or shine, so please check the weather beforehand and come prepared. 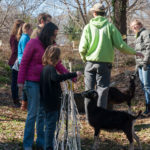 -Trees Atlanta will provide all necessary tools and instruction, though volunteers may prefer to bring their own work gloves. Louie Lewis will be coordinating for Trees Atlanta. He can be reached at 678.588.9863. 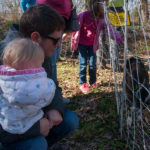 As the goats were eating their way through underbrush and overgrowth in the future Enota Park expansion land, neighbors and visitors were invited to come meet the goats, including 2-week old kid’s. 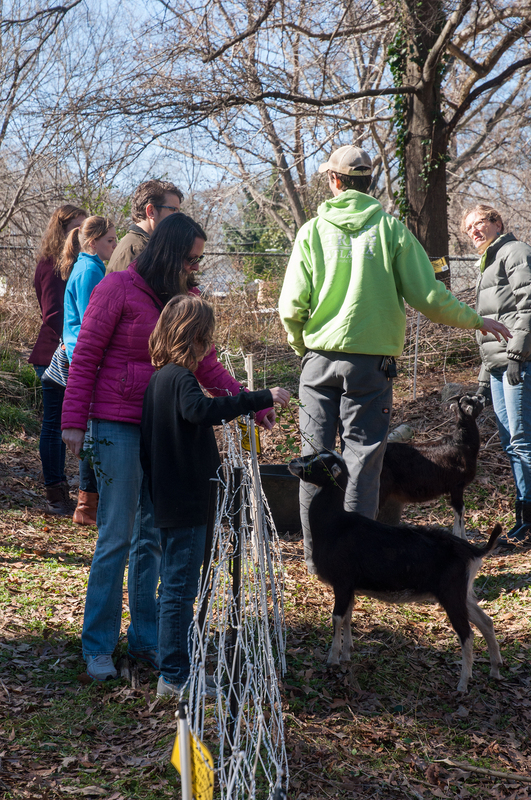 Trees Atlanta has teamed up with Get Your Goat, a local company providing shepherd and goat grazing services, to help clear invasive ivy in the future Enota Park. Located between the current Enota Place Playlot and under-construction Westside Trail, the wooded area is currently covered with ivy and kudzu. 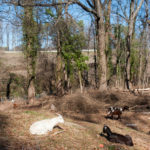 The goats will be focused on a small area within the future park and are expected to consume that ivy within two weeks. Work is expected to take place over two weeks beginning on January 23, 2017. 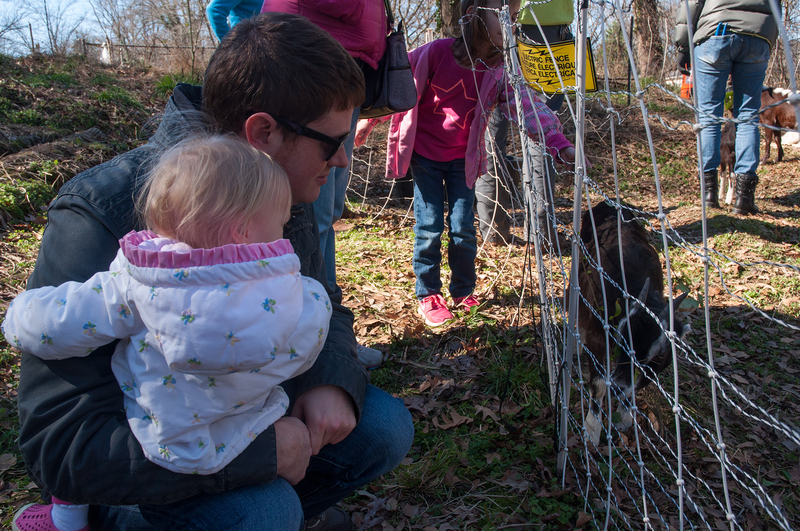 Trees Atlanta will host a Greet the Goats event on January 28, 2017, from 10 a.m. until 1 p.m. but neighbors and guests are welcome to visit the goats at any time during park hours (6 a.m. – 11 p.m.). The grazing area will be located adjacent to the playlot to the north and northeast. 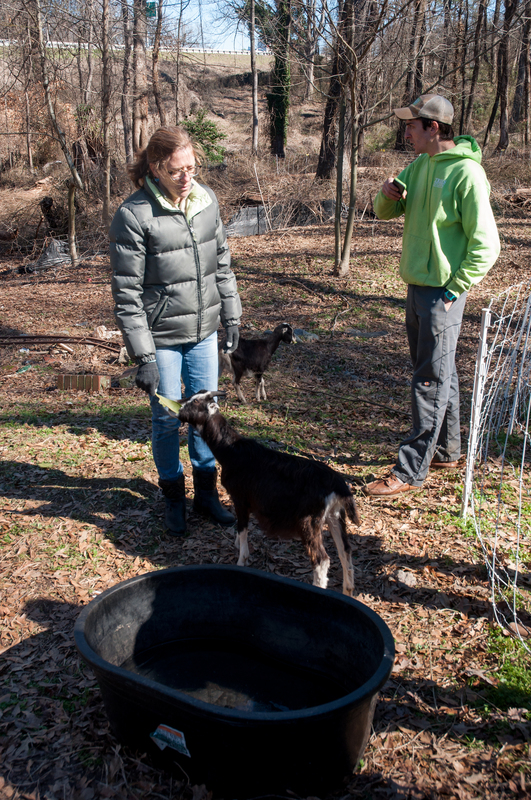 The goats will be enclosed in an electric pet fence. Signs on the fence will provide safety precautions for spectators. 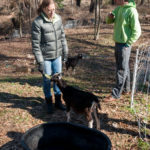 Get Your Goat recommends that dog walkers keep their pets on a leash around the protective fence for safety. 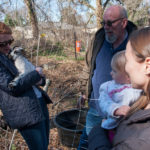 Since September 2016, Trees Atlanta and many community partners have been working on a major restoration of Enota Park, a 12-acre greenspace in Southwest Atlanta. Mature hardwood trees, which cover much of the site, are considered a significant asset to the park because they represent a historic grove in a part of the city where tree canopy is spotty. These trees also provide a much-needed buffer to the adjacent I-20 highway borders the park on the north. Unfortunately, invasive species have overtaken much of the area, including high concentrations of privet, kudzu and English ivy. Trees Atlanta is removing six acres of invasive species, replanting native species to temporarily stabilize slopes and streambanks prior to the full buildout of the park which is being completed by Atlanta BeltLine, Inc.
More good news on the park, greenery, and Atlanta BeltLine front – the future expanded Enota Park site will soon see movement. Trees Atlanta applied for, and received, a $46,800 grant from the National Fish and Wildlife Foundation (NFWF). The 2-year project will tackle the removal of invasive species, such as ivy and kudzu, and include tree plantings along the I-20 slope to help control erosion and create a natural buffer from the highway. 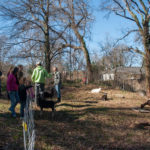 Each year the Atlanta BeltLine, Inc. teams up with Trees Atlanta to complete invasive plant removals around the Atlanta BeltLine Corridor and in future Atlanta BeltLine park land. 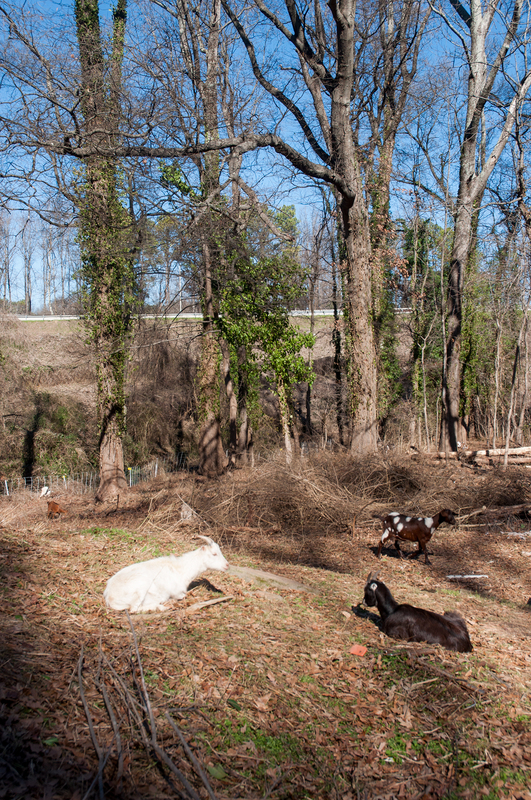 Invasive plant removal is vital to creating and maintaining healthy urban forests in the City of Atlanta. 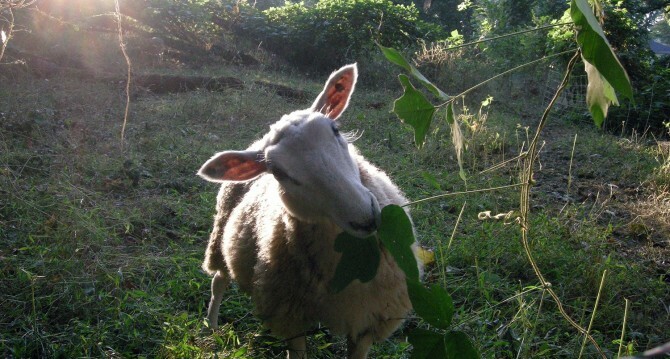 This year, Trees Atlanta has hired a herd of sheep to eat acres of kudzu growing in Atlanta’s greenspaces, and the herd will be working in Enota Park in Westview. Q: Do the sheep stay onsite all night? A: Yes. 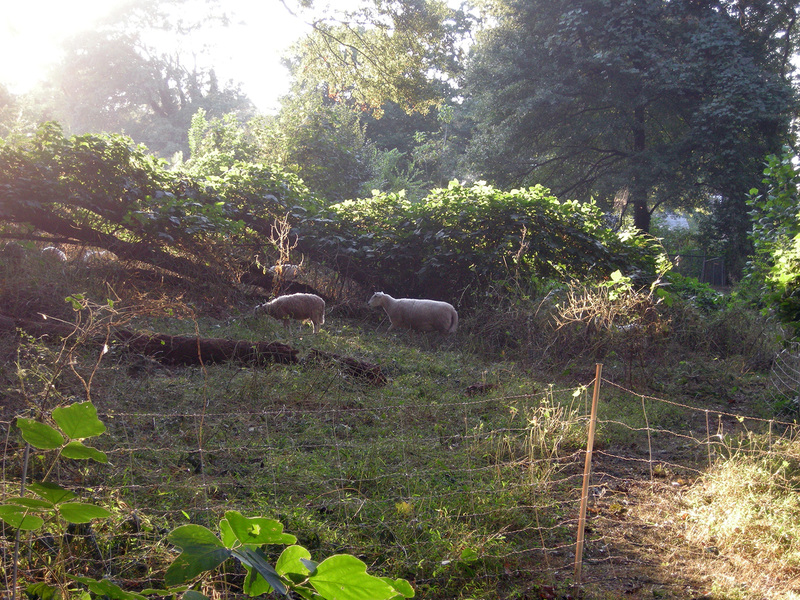 The sheep stay onsite 24 hours a day and will eat weeds even at night. Q: Why are the dogs in with the sheep? A: The dogs are guardian dogs and are there to protect the sheep from stray dogs, coyotes, and other threats. The guardian dog is not particularly friendly toward pet dogs, so please keep leashed dogs away from the fence. Q: How often does the shepherd check on the herd? A: The shepherd checks on the herd at least once a day to make sure that none have escaped, that there is adequate water and food, and to feed the dogs. Q: How long will it take the sheep? 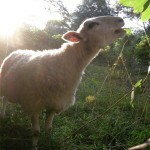 A: The sheep should be onsite for no more than a week at Enota Park and three to four weeks at Boulevard Crossing Park. Q: What are the sheep eating? A: On this particular site they are eating Japanese hops and kudzu. 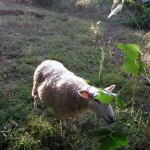 Q: How do you keep the sheep in one place? 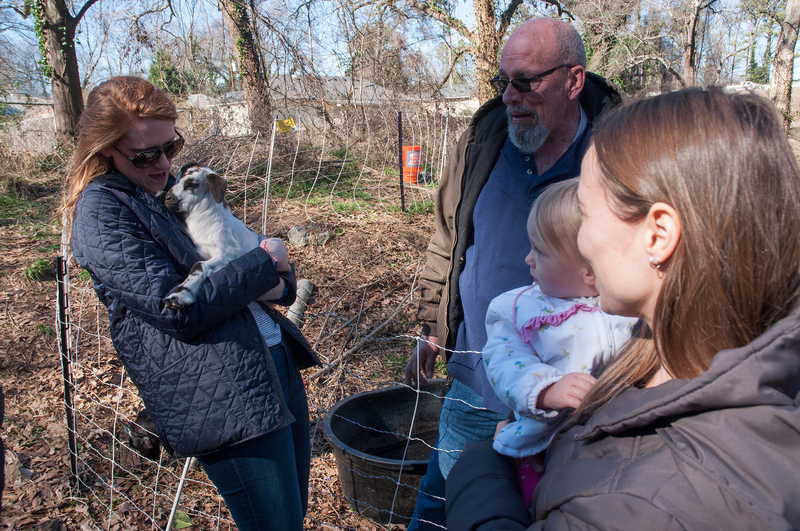 A: The white fencing is a temporary, moveable electric fence. It keeps the sheep on task and out of harm’s way. 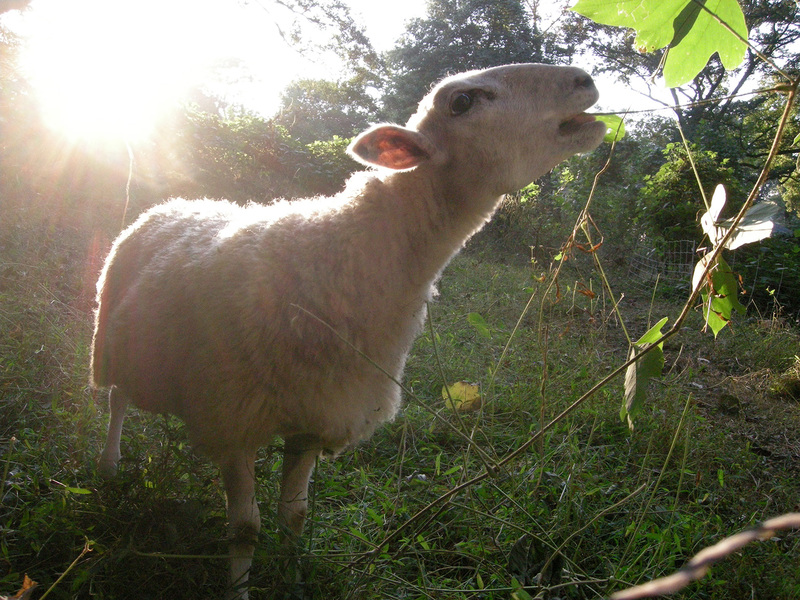 Q: How quickly do the sheep eat invasives? 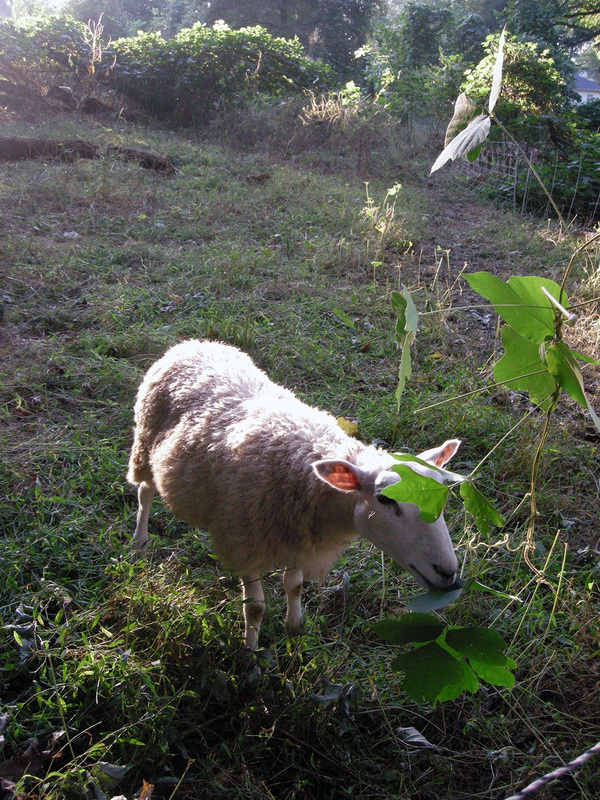 A: The general rule of thumb is that 30 sheep can consume 1 acre of invasives in 2 weeks, depending on the weather and the type of vegetation being eaten. The United States Department of Agriculture defines an invasive species as non-native (or alien) to the ecosystem under consideration and whose introduction causes or is likely to cause economic or environmental harm or harm to human health. 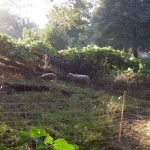 To see photos of the sheep at Enota Park view the photo gallery below or visit the Westview Facebook page. 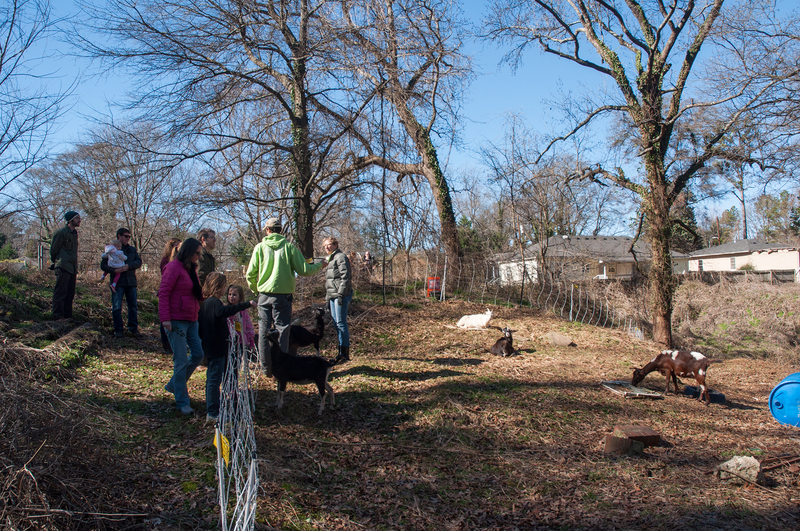 Thanks to the wide support and strong voices of Westview residents, neighboring communities, political figures and others we are pleased to announce that the Atlanta City Council passed ordinances to acquire the land to create Enota Park! 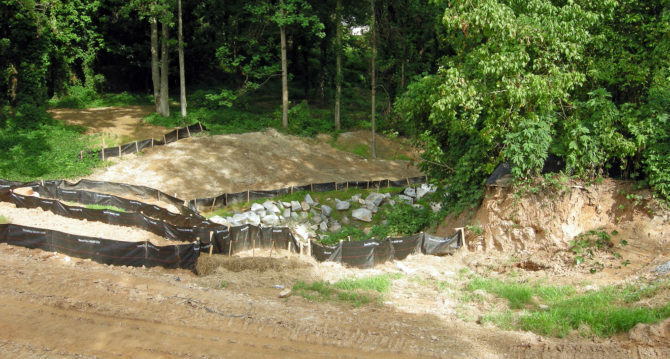 Atlanta City Council came together for a Special Called Meeting on Monday, August 19, 2013 to review ordinances to acquire parcels using eminent domain for the expansion of Enota Park. The Atlanta BeltLine has spent the last several years negotiating with land owners to acquire land surrounding the current Enota Playlot. While many parcels had been bought through normal means there were some parcels that proved to be challenging to acquire. 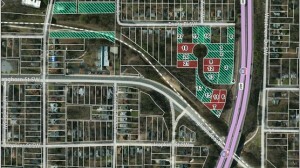 All those remaining parcels are made up of vacant, overgrown land without any structural improvements. The unanimous votes by City Council will allow progress to be made on this vital park development. Thank you to all the residents who signed the online petition, raised awareness through door-to-door canvassing, and appeared at the meeting to let their voices be heard. 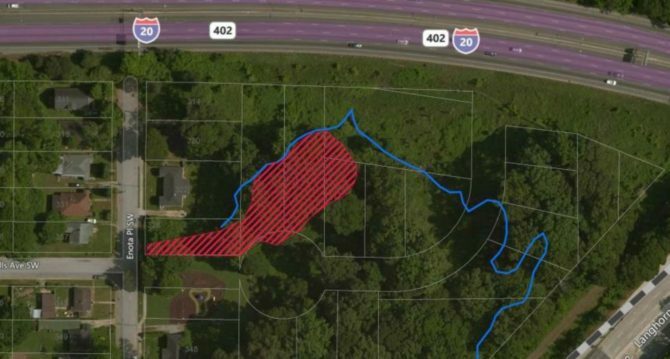 Details: Atlanta City Council meeting to discuss parcel acquisition for the proposed Enota Park. 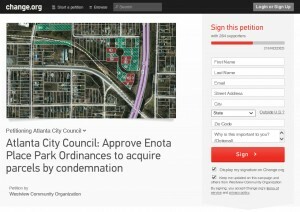 For detailed information please visit http://www.westviewatlanta.com/2013/08/enota-park-call-for-action/. Do some or all, just make sure to do at least one! Most Important: Come to the August 19th meeting at 6:00pm at Atlanta City Hall. We all need to be there and bring someone with us. Please sign-up to speak. If for some reason you can’t make it, make sure someone goes in your place. Sign the online petition, and ask your friends to do the same. They don’t have to live in Westview to support us. If they live in the city, make sure they include their address and district when signing the petition so their City Council representative knows they support this vote. Write a letter of support for the ordinance and send it to the Atlanta City Council by Friday. Circulate the paper petition on your street. Give all petitions to Ayana by Sunday, August 18, 2013. Call 1) your City Council Member and 2) the City Council members on the Community Development & Human Resources Committee. This is the committee who introduced the legislation. Ask for a “Yes” vote on this ordinance. Ask for their support in getting it passed. I.e. – we are asking them to do work behind the scenes to get their legislation passed. Enota Park is the only new construction BeltLine park in our area. 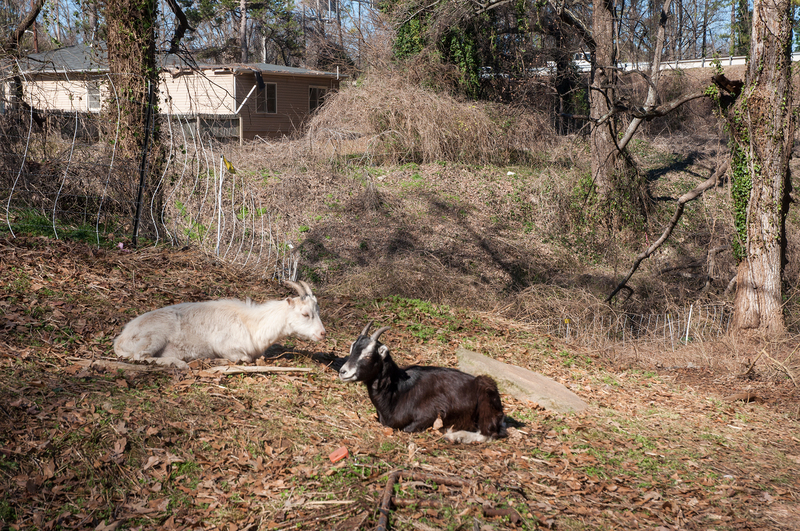 It was slated to be one of the first BeltLine parks built, but hasn’t in part because the City of Atlanta cannot acquire the property for various reasons including absentee property owners. 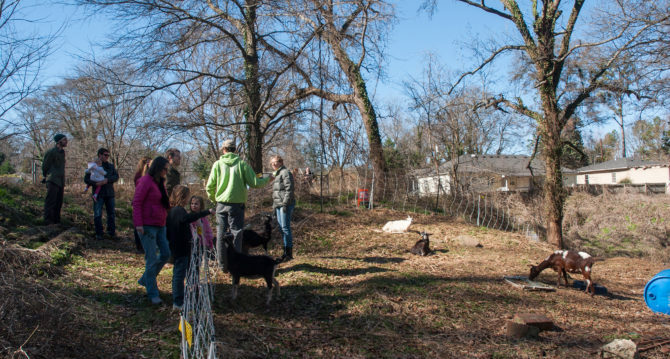 The particular parcels impacted by this ordinance have no houses. 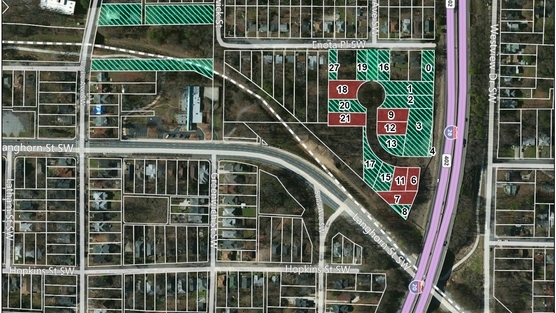 It is vacant land adjacent to the Atlanta BeltLine corridor near Langhorn and I-20. The seven ordinances up for vote on Monday, August 19, will allow the city to acquire seven parcels by condemnation. The above map shows the parcels in burgundy. Enota Park is part of the Subarea 1 Atlanta BeltLine Master Plan created with the input of many district residents and community stakeholders. It is also part of the Westview Master Plan developed by community residents and approved by the city. 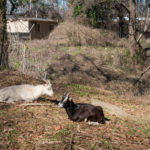 The City of Atlanta and the Atlanta BeltLine have been working for a number of years to secure the land needed to build Enota Park.